2005 Ford F-350 XLT Crew Cab Flat bed SRW ! 6.0L Diesel ! 6-Speed Manual ! Low Miles ! Super Clean ! Clean title ! If you are looking for an extra clean diesel truck to pull any of your needs, then look no further than this beautiful truck. This 6.0L diesel runs and drives perfectly and the interior is exceptionally clean! All 4 tires are almost new. It comes equipped with a 6 speed manual transmission, power windows, power locks, cruise control, 6 disc AM/FM radio, fog lights, Flat bed w/marker lights and gooseneck ball hitch, center console with cup holders and much more! We have put this truck through a extensive multipoint inspection and changed the oil and filter. If you would like additional information or want to come out to see and test drive this truck, please contact John on his direct line at 602-684-0202. 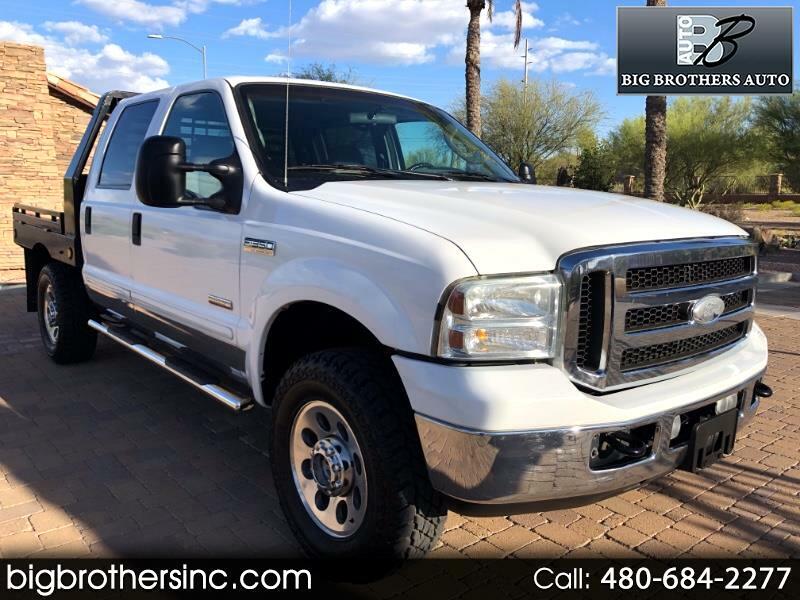 Visit Big Brothers Auto online at bigbrothersinc.com to see more pictures of this vehicle or call us at 480-684-2277 today to schedule your test drive.